I recently made a BostonCream Pie (for my birthday) and the recipe called for the cake to be topped with chocolate ganache. Well! Let me tell you, I have been making chocolate ganache and drizzling it on everything: ice cream, brownies, cakes, cookies, fresh fruit. You name it, I’ve drizzled it. And I think you should, too. Here’s the recipe so you can give ganache a try. The corn syrup offers a glossy finish. Don’t have corn syrup? No problem. Leave it out. Stove top method: Add chocolate bits and corn syrup to a bowl. Heat cream in a small saucepan until just at the simmering point. 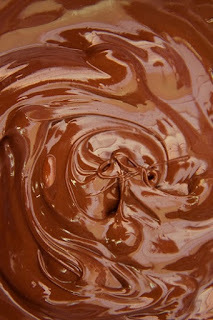 Pour hot cream over chocolate and stir until chocolate is fully melted and mixture is smooth. Drizzle over your favorite dessert. Microwave method: Add all ingredients to a bowl and microwave for 30 seconds. Stir. 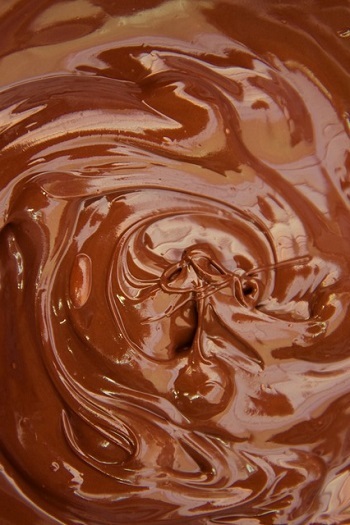 If mixture is not warm enough to melt chocolate, microwave for an additional 15 seconds. Be careful not to scorch the chocolate! Stir until chocolate is fully melted and mixture is smooth. Drizzle over your favorite dessert. Please double check the Kindle price before buying. I'm still working on getting the price reduced in the Kindle Store. 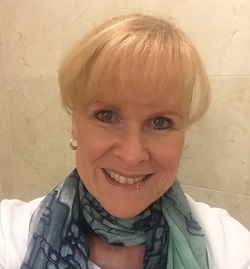 About the author: Donna Fasano is a USA Today Bestselling, award-winning author of sweet romance, contemporary romance, and women's fiction. Discover more about her, her books, and her favorite recipes at her website. Labels: Chocolate, Ganache Recipe, Nanny and the Professor, recipes, What's for Dessert? Thank you for the recipe and the bargain book, Donna. They book look yummy! Ooh, Donna, thanks for an easy and delicious recipe. It's a keeper! And thanks for the bargain book too. I love the title and the cover. Thanks for sharing. I love chocolate. This sounds delicious. I've never had someone say, "No thanks. I don't want any." LOL Thank you for commenting, Merrillee. I'm going to try this. I've always wondered how to make ganache. It's really easy. I hope you try it.